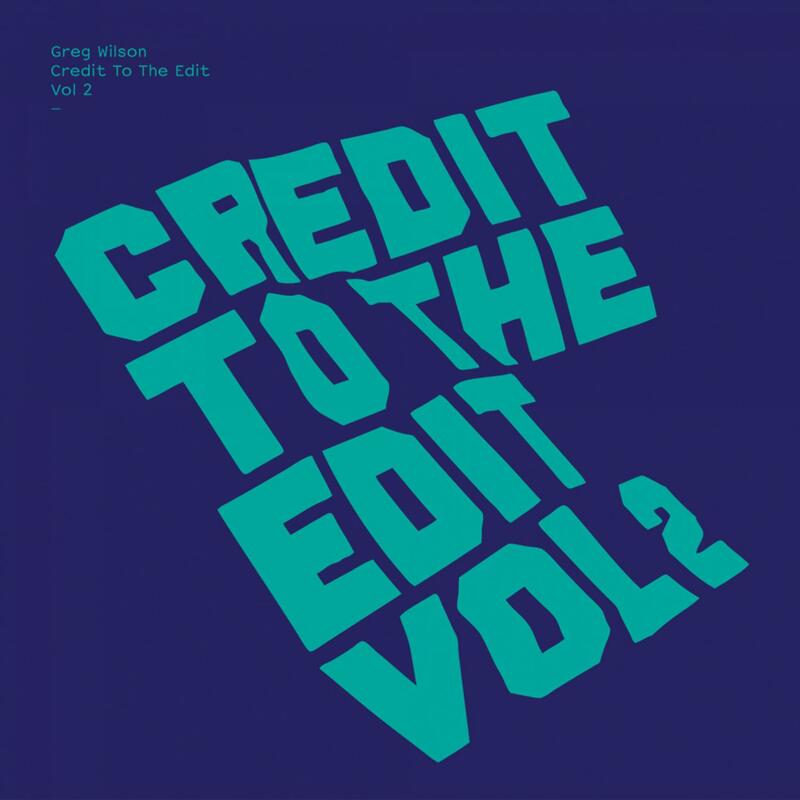 "Greg Wilson: Credit To The Edit 2"
Four years on and Greg Wilson finally finds time to complete this long-overdue sequel to is 2005 compilation. Whilst Credit To The Edit Volume 1, bar a couple of exceptions, focused solely on tracks originally released in the 70's and 80's, Volume 2 brings things right up to date, with two thirds of the album made up of recordings from recent years, all of which have done the business for Greg todays clubs. Volume 1 connected the past to the present, Volume 2 provides a perfect illustration of how the present is being shaped by the past, with artists from both sides of the Atlantic producing great new tracks that take their inspiration from the type of music highlighted in the first volume, neatly serving to bring the project full circle in the process. The current underground 'Disco' scene, within which the re-edit plays a central role, is no longer purely the domain of an older audience who've delved back into what came before, having grown tired of the existing 4/4 formula that has dominated since the Rave explosion of the late 80's. Nowadays it's increasingly becoming the dance music of choice for a vibrant younger crowd who weren't even born when many of the records played were originally released. The term 'Disco', especially given its cheesier connotations from the post Saturday Night Fever era, hardly presents the full picture of what's going on now, but this seems to be what the media have fixed on so it looks like we're stuck with it. “When it comes to this scene that previously had no name, the original 70's Disco sound is but one of the ingredients that goes into the musical melting pot, for it's a far wider spectrum the DJ's are choosing their tunes from, taking in a whole span of styles including Boogie, Funk, Balearic, Cosmic, Electro-Funk, Italo, Hip Hop and other groove-based delicacies (House also features as part of the overall soundscape - as it was originally played during the mid-80's, in contrast to the 'all night long' monopoly that followed). It's fitting that these two volumes have been released by Tirk, given its links back to Nuphonic - a company that was at the vanguard of this Disco renaissance via its output during the period 1995 - 2002, including the now seminal David Mancuso 'The Loft' retrospectives that did so much to help unshroud the original Disco era for an eager new wave of enthusiasts (issued complete with accompanying sleevenotes courtesy of Tim Lawrence, who'd undertake a major excavation in writing his acclaimed book on 1970's US Dance culture, 'Love Saves The Day'). Tirk mainman, Sav Remzi, along with his then partner, Dave Hill, must take a lot of credit for helping plant the seeds from which the current movement has grown. Nuphonic provided the launch pad for some of the contemporary scene's main players, including Horse Meat Disco co-founder, James Hillard, and Gregs agent, Matt Johnson (Matty J), who co-ordinates the bookings for a number of the key DJ's. Written & Produced by 40 Thieves.